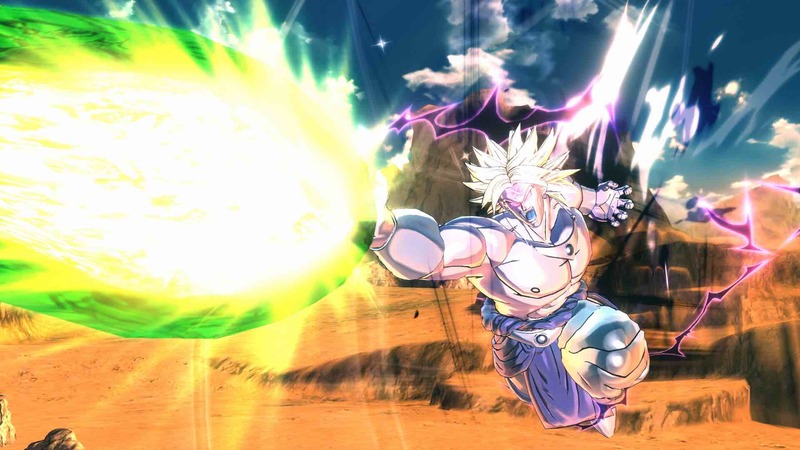 Originally tailored for the much bigger, heavier, and more powerful systems, Dragon Ball Xenoverse 2 finally spirit bombs its way onto the much smaller and nimble Nintendo Switch. The question is, however, can it stand and fight in the same battleground as its current-gen rivals or does it crumble under the pressure like the fate of Planet Vegeta. For those that are new to Dragon Ball Xenoverse 2 or even to the lore itself, it’s a unique open 3D fighter that’s part MMORPG and hammered with story missions. Based on the massively popular manga created by Akira Toriyama, the Dragon Ball franchise has been going strong for well over 30 years and has probably spawned more TV episodes than Eastenders. Back to that key question, though. How well does it actually transfer over to the Switch? After all, it is one of the first games to be ported down from the more graphically dominant market. So let’s take a look at the tale of the tape technicalities that the Switch version has to offer. Well, it has a display resolution that pans out at 900p when docked and 720p when in Handheld mode. Dragon Ball Xenoverse 2 runs at constant 60fps in a one-on-one battles, and 30fps pretty much everywhere else. That’s in comparison to the Xbox One, PlayStation 4, and PC versions that run at a constant 1080p and 60fps respectively. 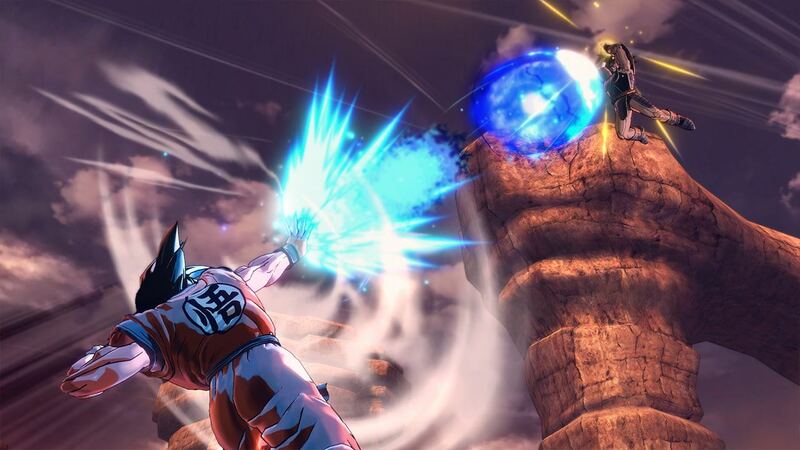 Now, if you’re like me and have never played a Dragon Ball Xenoverse game before, then these minor technical differences won’t really feel like you’re missing out on much. The visuals look mostly sharp and clean with vibrant cel-shaded graphics. The black comic outlines can have a slight graininess the further away things are but, up close, they still look great – especially in the more cinematic moments that unfold in the story mode. In Handheld mode, there are some frame drops that can sometimes occur in the hub world. As for the combat where it matters most, there isn’t a frame drop in sight. The visuals can look a little soft in some areas, but overall, the portable experience is a very pleasant one. However, I haven’t run into any of these issues when docked in TV mode, where the game undoubtedly looks it’s best. For the veterans of the series the visual differences may stand out slightly, but it really doesn’t take anything away from the action. It’s exactly the same game as its counterparts and the fights themselves run as smooth as butter. Take into account that any further criticisms are present in ALL versions regardless of technical prowess. Fighting games over the last several years have started to adopt a story mode to flesh out their core gameplay. Dragon Ball Xenoverse 2 however, carries itself beyond that by creating a whole hub world around a fighting system and takes full advantage of its massive back catalogue of the source material. In this case, you are employed as a Time Patroller, ensuring that history runs the path that it’s destined to as you visit key moments throughout the Dragon Ball history. Think Dr Sam Beckett from 90’s series Quantum Leap, except everyone is well aware of your presence, there’s better fighting, and more screaming. You start your journey with choosing one of five different race types from the Dragon Ball universe that contain their own underpinning abilities that suit different play styles. You then customise your character with quite a substantial amount of options to choose from in preparation for your role. When all suited and booted, you are introduced to the hub world, Conton City, where everything from quests, shops, training academies and multiplayer modes are accessed. The main draw of the game is its combat, and developer Dimps has done a great job in creating the spectacle of the anime as well as construct a functional and fairly deep fighter. Granted, it’s not something you will find at EVO – not even close – but every effort has gone into making it more than a Dragon Ball Z fight simulator. You will find that most of the time will be spent exchanging blows in the sky. Navigating your character feels very smooth with the analogue stick as you lock onto your opponent, which you can face a multiple of at once. Combos are usually a simple string of X and Y button presses mixed in with launchers and specials, while your defensive options are a combination of blocks, parries, vanishing steps, and reflections. Many of your more dominant special attacks will use up your KI meter and your special navigational properties will spend your stamina gauge. At first, the controls can be a little daunting as it’s quite a far cry from a traditional fighter. Given a little time, it all gels together quite well. In fact, it may even start to feel a little simplistic, to which I would highly recommend you work through Grand Master Kai’s tutorials to get the most out of the combat system. It will also help you in online battles as you will undoubtedly get murked by the opposition. The local multiplayer takes advantage of sharing Joy-Con where a friend can join in the chaos wherever you want. There are a few adjustments that have been made to compensate for the two missing triggers that work well enough for this purpose. The camera can get pretty crazy at times, which the same can be said about the single player, but thanks to the auto lock-on in this mode you still have a good idea of your whereabouts on the field of play. Probably not the ideal way to battle, but it definitely works well enough to be fun. The lack of options in local versus is pretty frustrating as there is no way to adjust the three-minute timer, leading to many more time-outs than K.O’s. 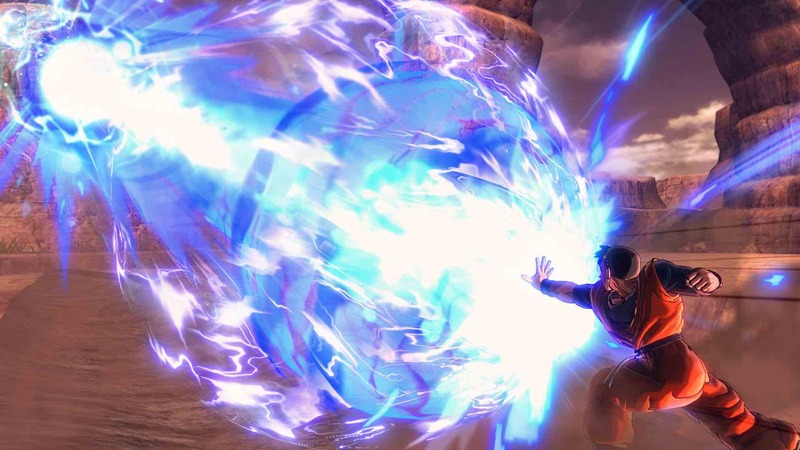 It does become obvious very quickly that the mechanics of the game completely work around its combat engine. Which makes the interaction outside battle feel a bit wooden as a result – most notably in Conton City, which lacks character. It’s not graphically bad as such, it just doesn’t feel very polished. The impression of this is pushed further due to how clumsy and awkward you navigate around it, especially before being granted your flying licence. I’m not expecting The Legend of Zelda: Breath of the Wild density or anything but the game does make it clear that you will be spending a lot of time there, so it would have been nice to see a little more effort put into it. However, Conton City soon comes alive when you access the multiplayer servers. When online, Conton city is the place to satisfy your MMO needs. With up to 300 players online occupying the large city, you can team up, have a scrap or insult each other with a book full of emotes. You can check other players stats to see if you have a good chance at bullying them or venture on parallel quest expeditions with an elected crew of mates or strangers. It’s definitely an interesting addition to add to a fighting game and actually works quite well in my experience. Unfortunately, the paid downloadable content doesn’t come bundled with the Switch version unlike how publisher Bandai Namco Entertainment has chosen to approach how One Piece: Unlimited World Red – Deluxe Edition. However, there are a few exclusive features added to the Nintendo Switch version – the first being motion control. While not the most optimal way to play the game, you can reenact signature special moves physically with the Joy-Con. This is a casually fun option that actually works much better than expected, and a far better experience than the abysmal effort that Capcom made with the Way of the Hadou mode in Ultra Street Fighter II: The Final Challengers. 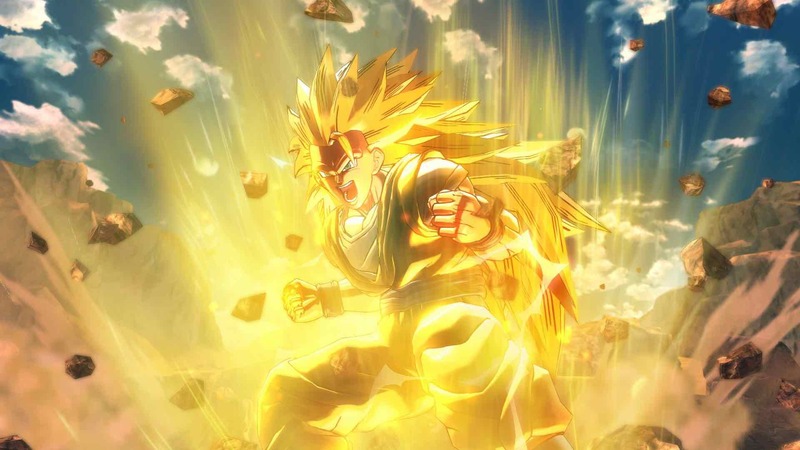 The second feature, grants you the chance to download the first Dragon Ball Xenoverse story mode on the Nintendo eShop, with the third being the ability to have all the characters unlocked off the bat. There are 87 altogether, and this is again unlocked on the Nintendo eShop. This is great, especially if you already own the game on another system already and you want to play it on a portable, or if you’re just eager to dive into the versus mode early. Otherwise, you will be grinding it out longer than it takes Goku to cross Snake Way to unlock them all. It’s worth pointing out that this downloadable content is only available for free until Tuesday 3rd October 2017. However, as of release day, the character unlock feature is not present on the Nintendo eShop in Europe. I did manage to download it on my North American account which works fine through my UK profile. For some reason, in Europe and the Middle East it’s only available on Bandai Namco Entertainment’s website. All in all, Dragon Ball Xenoverse 2 is a blast. It may prove a bit grindy for some, and there are some underwhelming design choices here and there but, despite a few flaws, it manages to keep the single player entertaining for longer than most fighting games out there. 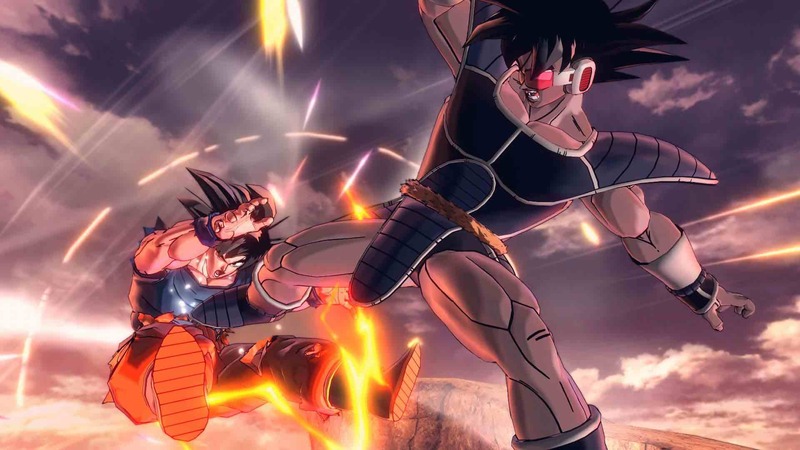 Packed with a robust story mode and a sack full of content Dragon Ball Xenoverse 2 gives the aficionado and newcomer to the series plenty of excuses to have a good old scrap. It may not be as deep or nearly as balanced as a conventional fighter series like Street Fighter or Guilty Gear, but there is enough depth here to learn how to “git gud” if given the chance. The Nintendo Switch version is a commendable port and to finally have the chance to throw down Kamehameha’s with the smelly old drunk on the bus is well worth the purchase alone. Now, let’s hope the gorgeous and very different Dragon Ball FighterZ also gets a Nintendo Switch release, because my anticipation level for that title is well over 9000!